Roll in style with the Asus K55A laptop. It’s powered by a third generation Intel Core i7 processor that’s capable of handling everything you’ll ever need it to handle and comes with enough storage space to keep both your work files and your movie collection as well. 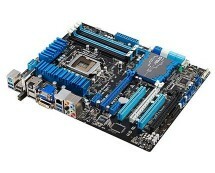 Get it now from amazon.co.uk for only £555.45. 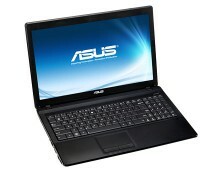 Asus is a company that knows its way around in the world of IT, and its vast portfolio of products is the best proof. With products ranging from incredibly small netbooks (let’s not forget that Asus started the netbook trend with its 7” Asus Eee PC) up to sophisticated gaming laptops (who hasn’t heard of the famous Republic of Gamers series?) and everything in between, Asus demonstrated that they know how to make a quality product. 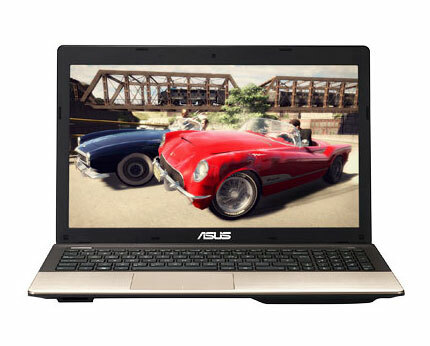 The quality product we’re dealing with here, Asus K55A by its name, falls more into the business category. This is pretty obvious from the first sight, as the laptop comes with an aluminium construction and a textured metallic finish that spreads over the lid and the palm rest area, giving the laptop a luxurious aspect – some sort of Bentley of laptops. Similar to a Bentley, the Asus K55A hides something impressive under its hood as well, being powered by one of the most powerful processors of the moment: an Ivy Bridge Intel Core i7. Needles to say everything runs smooth and lightning-fast, making this laptop the perfect pick for those who want to get things done and do it in style. The tremendous processing power is assisted by a large amount of system RAM, 6 GB to be precise, making the laptop deal well under multi tasking pressure too. Considering the fact that the K55A is not a gaming laptop, the lack of a discreet graphics card shouldn’t be a major disadvantage. Movies and even some older games run quite smoothly on the integrated Intel HD 4000 graphics chip and maybe even some of the newer games will run pretty decent if you’re ok with lower detail levels, but don’t expect any miracles though. 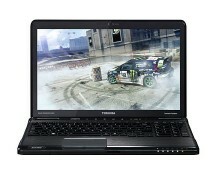 Besides, an integrated GPU also translates into increased battery life, which is usually a great plus in every laptop. The integrated GPU is not the only thing that contributes to the increased battery life in this case, though, as Asus also integrated the SuperBatt feature, extending the battery lifespan significantly. Another interesting feature that also relates to the power aspect is the Asus Super Hybrid Engine II. Sounds fancy, right? That’s because it is; this feature works its magic by putting the laptop into a standby mode that allows it to resume in just a few seconds. 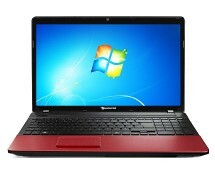 This way, battery life extends to several weeks in this mode and, if it is about to eventually run out, the laptop automatically saves up everything to prevent data corruption. Smart, isn’t it? As we said previously, this laptop is mostly a business laptop, but that doesn’t mean it’s not good at other things too. Thanks to the SonicMaster Lite audio technology, the sound output of the Asus K55A is considerably better compared to other laptops, allowing you to comfortably watch a movie or listen to some songs without needing to plug in your headphones or a pair of external speakers. Overall, the Asus K55A is a real beauty, both in terms of design and performance and, unlike a Bentley, it’s a beauty you can afford.